Welcome to Austin, Texas, the state capital and the Live Music Capital of the World! This populous, bustling, lively city has a special sparkle that has attracted more than 800,000 residents to call Austin home. Austin is the thriving cultural and economic center for many of the surrounding suburbs as well as its own inhabitants. Austin is a place where everyone has a niche. Every individual can find what’s right for them and live life to the fullest. As the leading Austin swimming pool builder, why not let Denali Pools help you build the custom pool that’s right for you? 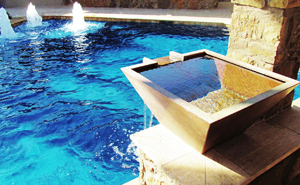 Whatever your vision for your pool is – Denali’s professional Austin swimming pool builders can help you achieve it. Take a break from the humid subtropical climate of Austin with a dip in your dream pool, built especially for you by Denali! 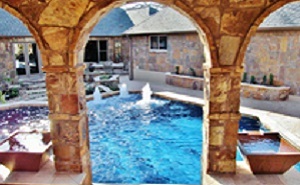 Just as the possibilities are endless in Austin, Denali Pools takes the approach that the possibilities for your pool are also endless – why limit yourself? Your vision combined with our commitment, creativity, dedication, and experience will have you taking a dip in the swimming pool you’ve always dreamed of building, but sooner than you would ever have expected! As an urban center, Austin has a little something for every individual. Austin truly celebrates differences, individuality, and independence – leading some of its residents to unofficially adopt the Austin slogan, “Keep Austin Weird.” This free-spirited approach is reflected in the promotion of small local businesses (preventing them from being overshadowed by larger corporations), the assortment of musicians and live music venues in the town, and much more – Austin is full of surprises! While Austin may make you feel right at home with its inclusivity and myriad of opportunities, the city also has a penchant for style. The SoCo shopping district, which spans down South Congress Avenue from Downtown, boasts festivals, scrumptious eateries, eclectic stores, and cozy coffee shops. If that isn’t intriguing enough, the Live Music Capital of the World’s affinity for the arts goes beyond its love of music into the theatrical arts. Theater culture is thriving in the form of live performance theater venues and public performances in parks or on bridges. The Fuse Box Festival which hosts foremost theater artists every year in April also fuels Austin’s passion for theater. This is Texas however, and it can get hot. With our long summers, swimming pools get a lot of use. 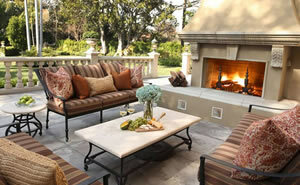 When it is time to cool down in style, contact Denali and we can help design your dream Austin swimming pool. 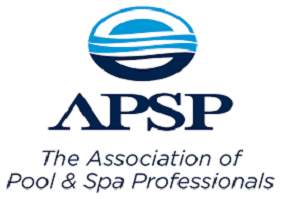 We are an experienced and talented Austin swimming pool builder, ready to design and construct the perfect pool for you and your family.